52 Ancestors, No. 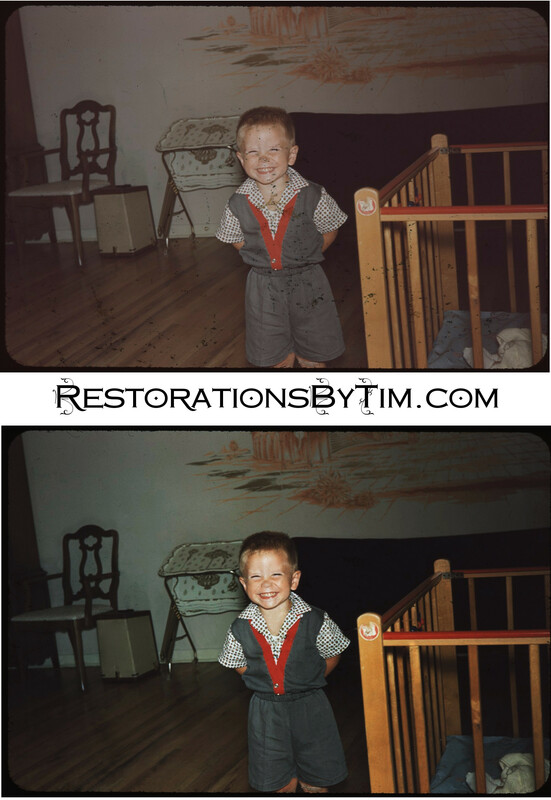 24: My Father, Gregory | Photo Restorations by Tim G.
Mother’s Day is my clue that Father’s day is not too far away, and I have to come up with some offering of roughly equal market and sentimental value. I feel pretty bad when I don’t come through, but my Pop is pretty easy-going, and helps a lot with occasional and unintentional gifting inequalities. For example, this year, I had published my mother’s tribute on time, on Mother’s day. My father get’s his tribute on the Tuesday after Father’s Day. Why? Well, this weekend my father was helping me puzzle through some tech stuff that might improve my standing for a job I had interviewed for. That kinda needed to get done. That’s one of the great things about my dad: If you come to him with any sort of puzzle that needs a solving, he’s happy to help. He really invests himself, too. His interest is genuine. It’s as if his success relied on mine, or whosoever’s he happens to help. I can remember a couple grade school projects. One of them, as I recall, was to build a “Spaghetti-eating Machine”, the intended purpose of which was not to eat spaghetti, as the name implied, but rather to assist its operator with the eating of spaghetti. My dad had this idea: He had a battery-powered electric screwdriver, and he recommended that I put a plastic fork on the end of it. So we did that. It took an afternoon. There were a couple extra parts involved in the modification, but that was my spaghetti-eating machine. The spaghetti practically wrapped itself around that fork. A quarter-century later, I still marvel at the brilliance of that simple machine. A unique challenge (Photo by Robert Brizel). Here’s another one: I did a science project of leverage, that is, how levers work. Again, my dad had this great design for how to demonstrate the principles. The thing was about a foot-and-a-half tall. It was a wooden bar, balanced on a up top of a post, by a peg driven through its center. Every couple inches along the rod was a hole through which one could variously sized weights. It was a balance scale, essentially, but one could hang things at various distances along the center bar. —Anyway, the thing was cool, and I never forgot how levers work after making that thing with my dad. Even now, when faced with a difficult task. I always think first about how I can employ a little leverage to make the job a little easier. School administrators apparently liked the device as well. I remember that it spend many weeks in a prominent display case in the school lobby. My dad’s job, basically, is to figure stuff out. I’ve never asked him for the full details of his occupation, but he works for Siemen’s Building Technologies. He’s worked for the same people as long as I can remember, although the company has changed hands several times over the years. What I know of his occupation is that he heads a team of engineers who design, install, and maintain heating and cooling systems for commercial buildings. I tell all of my friends about my dad’s special trick, which is that while watching movies and TV show’s he’ll often identify the makes and models of the thermostats on the walls. Some of them are pretty old. I’m like, “Wow, really?” I guess he’s seen all kinds over his many years with the company. He told me about one of his jobs. Many years ago, he was among the team of professionals who designed and implemented the heating and cooling system for Lucy the Margate Elephant, which is, like, this giant Elephant-shaped building a few miles south of Atlantic City. I guess the Save Lucy Committee was all, like, “You see, we have this elephant-shaped building, and the tourists walk through, and, you see, we need for them to be comfortable as they watch our fifteen-minute historical video on the elephant-shaped hotels of Victorian-era South Jersey. Can you install an air-conditioning system in our elephant?” My dad and his people were like, “Yeah. We got this. No problem.” They make it look easy, but the reality is that there is no instruction manual for air conditioning a giant seaside elephant. You gotta figure that stuff out. That’s what my dad does. He figures stuff out. Aside from his engineering acumen, another of my father’s most redeeming qualities is the personality that has made him popular among my friends and those of my siblings. 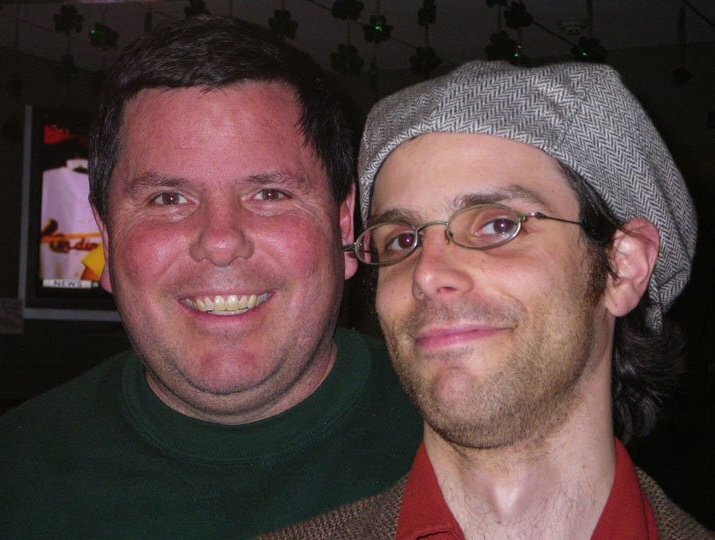 My friends have often told me how much they enjoy my family, especially at certain events like the Eagles playoff parties that my parents used to host, prior to passing the torch onto my older brother. I think my father relates to people in ways that cross the generation. My younger brother and his friends refer to him as The Greg. The Greg gets a definite article because he is truly one of a kind. “Fort Jefferson Sea Walk,” by Greg Graham, via Fine Art America. My father has always liked sports. I was never really much of a sports guy, but since I studied law, the rules have become very interesting and intriguing to me, especially in football. My pop and I will have some fun conversations about the rules, and whether this or that was a “football move” or the inconsistencies between the broken plane rule for touchdowns and the two-feet down rule for boundaries. In addition to sports, my father has two great hobbies: His Irish music collection, which, as I’ve mentioned before, constantly recalls our family heritage, and his his photography, which gets more impressive by the day. I tweet about photography often, and the purpose of that is to inspire myself and my followers to visually document their families more impressively and more memorably, but I’m not really a learned photographer. My father is on his way. He has the equipment, the guides to match, and a growing portfolio to show for his effort. I encourage you to visit his Fine Art America site, which he updates regularly. If you like what you see, consider purchasing a print, or maybe some greeting cards. There’s only so much I can say while keeping this blog post to a convenient length. I can sum it up by saying that I’m grateful my father is on my side. He’s been there to help every step of the way. For that, he deserves the best of Father’s … weeks, being in the third day of this one, and many more.